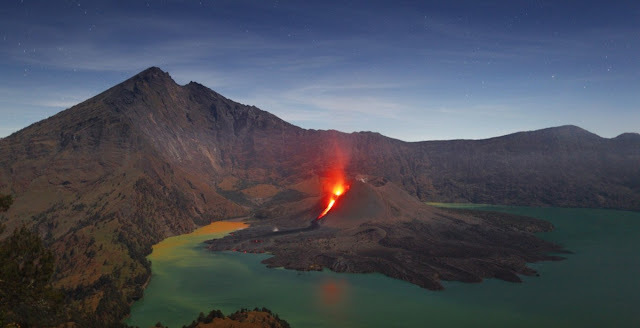 Three domestic flights from Bali to Lombok have been canceled, as the eruption forced the closure of Lombok International Airport on Monday afternoon, spokesman of I Gusti Ngurah Rai International Airport, Awaluddin, told The Jakarta Post. "Three flights from Lombok to Bali were canceled," Awalludin said. Meanwhile, five flights from Australia to Bali were canceled, three of which were Tiger Air and two Virgin Airlines flights. "The canceled flights were from Australian cities Sydney, Brisbane, Melbourne, Perth and Adelaide," he said. From Ngurah Rai, two flights to Australia have also been canceled. The flights included one Tiger Air flight to Perth and one Virgin Airline flight to Brisbane, leaving at least 335 passenger stranded in Bali. "The cancellations were decided for safety reasons," Awaluddin said.